Adidas WKF karate body protector is shaped anatomically for perfect fit and is made of flexible material. This makes these is shape perfectly to your body. 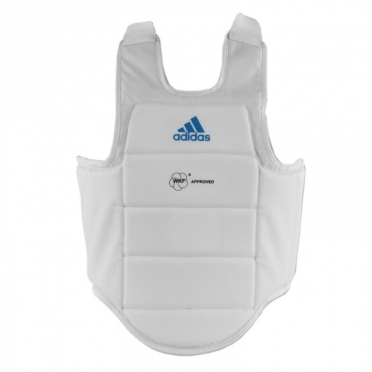 The body protector is white with has a blue Adidas logo. It has got an elastic closure at the back for a perfect fit. The bodyprotector is WKF approved. The Adidas WTF forearm protectors are anatomically shaped and designed for a perfect fit. 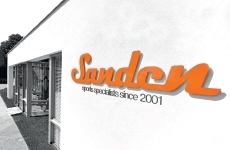 The forearm protectors provide good protection of the forearm and are made of PU. The protectors have Velcro closure and are WTIF approved. 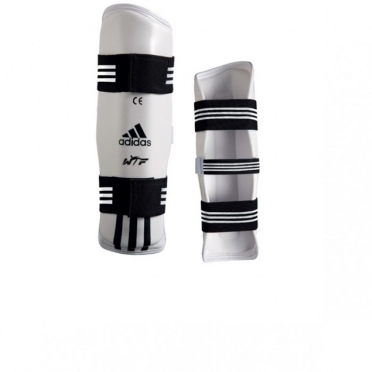 The Adidas forearm protectors are preshaped and designed for a tight fit. 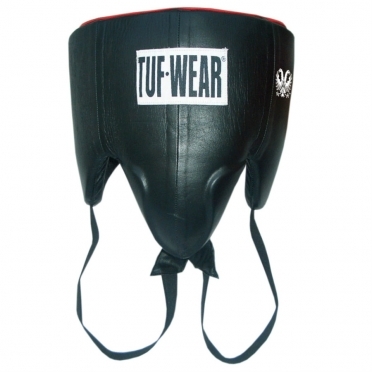 The protector is made of 100% polyester with foam padding for absorption of punches and kicks. The elastic backside makes it easy to put on and off. 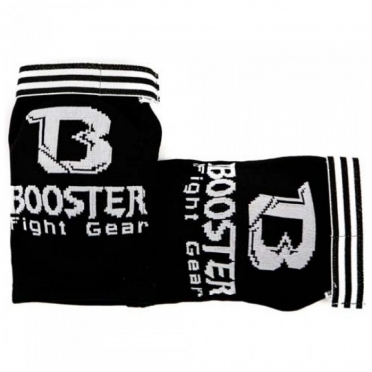 The protectors are suitable for any branch of martial arts where you want to protect your forearm against bumps or steps, like taekwondo and karate. Jockstrap (groin protector) from Booster. It is a standard groin protector for men. The jockstrap has an elastic band and is easy to put on and take off. The plastic cup can be taken out of the pants and the pants can be washed. Jockstrap (groin protector) from Booster.It is a standard groin protector for men.The jockstrap has an elastic band and is easy to put on and take off.The plastic cup can be taken out of the pants and the pants can be washed. The Booster AG Pro ankle guards are ankle guards from the Booster Pro Range.These ankle guards offer extra support to your ankles to prevent you from getting ankle injuries.The ankle guards are made of stretch nylon material.One size fits all. Groin protector from Booster. It is a standard groin protector for women. The groin protector has an elastic adjustable strap and is easy to put on and take off. 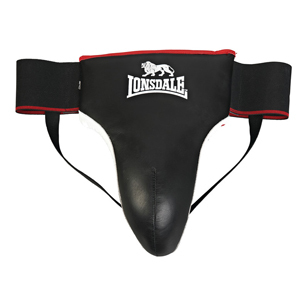 The groin protector is made of synthetic leather. 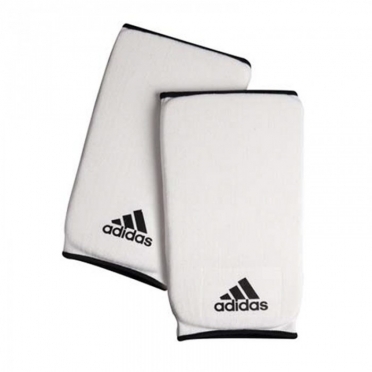 These protectors of adidas are ideal for extra protection during training or competitions for you and your training partner.The guards make sure you do not get chafing of the mat on your knee.The protector is made of polyester, with outside of leather with Nubuck II. The padding is made of F86 Eva Foam for absorbing all falls on your knees perfectly. 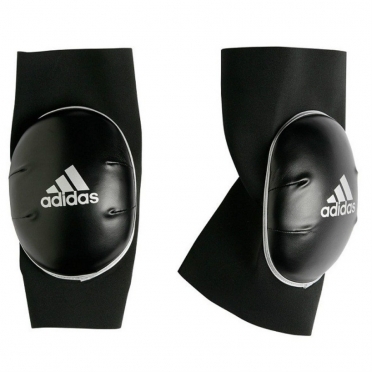 These protectors of adidas are ideal for extra protection during training or competitions for you and your training partner. The guards make sure you do not get chafing of the mat on your elbows. The protector is made of polyester, with outside of leather with Nubuck II. 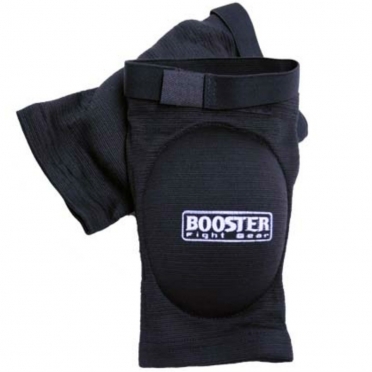 The padding is made of F86 Eva Foam for absorbing all falls on your elbows perfectly. The adidas groin protector is made of nylon, new cup and climacool technology that provides extra ventilation and moisture management. The groin protector is CE approved and meets all the European safety requirements. 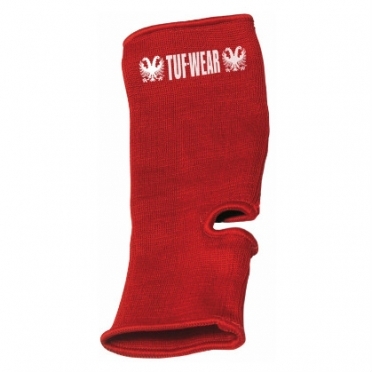 This TUF Wear ankle protector has a perfect fit because the material is made of cotton with lycra. This is very elastic, it will perfectly fit to your ankle. The ankle protectors will give extra support during training and are good washable. The groin protector is made of PU3G, high absorption foam with gel padding which makes the perfect protection.The groin protector is CE approved and meets all the European safety requirements. 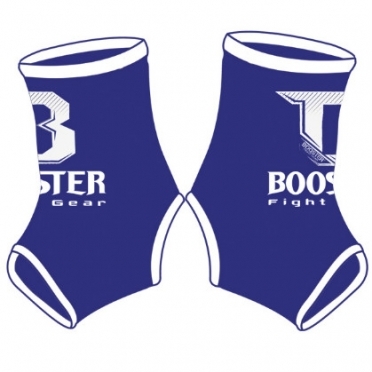 The Booster EKP elbow pads are made to protect your elbows and absorb shocks well.The EKP elbow pads are made of elastic cotton.The EKP elbow pads are ideal for MMA training. The hammer groin protector is made of elastic cotton, the protector is developed with a new cup, which ensures the best protection! The protector has a good ventilation and moisture management, this ventilation will give u much comfort during long trainings. You can wash the groin protector in the washing machine. 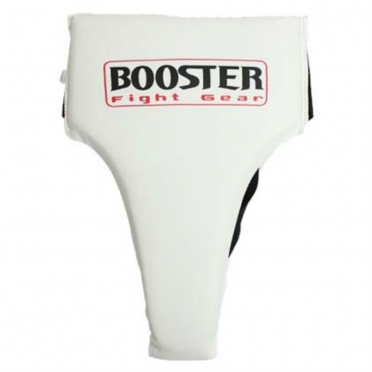 The Booster EKP Pro elbow pads are made to protect your elbows and absorb shocks well.The EKP Pro elbow pads are made of elastic cotton.The EKP Pro elbow pads are ideal for MMA training. 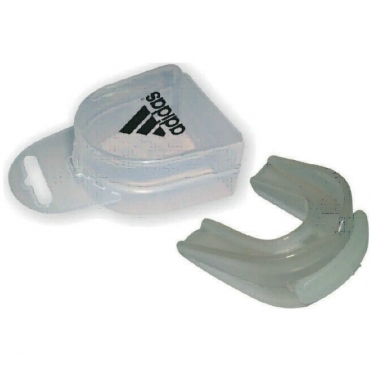 This CE approved mouthguard from adidas has a comfortable fir because you can make the mouthguard to your own size.The mouth guard is made of a flexible material that provides good protection for your teeth.